I'll take either any day--I hate being barefoot. 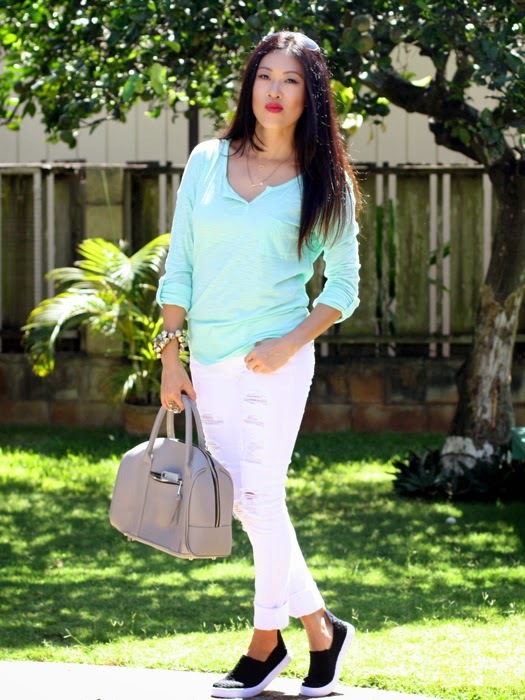 I love the mint, white and black here! Fab outfit! Not a fan of being barefoot. Great sneakers!! You look great and I love your sneakers. It depends on what I'm doing as to which I prefer actually. I just do not do barefoot for one I can't stand my feet to be dirty and two, my feet are so tender. 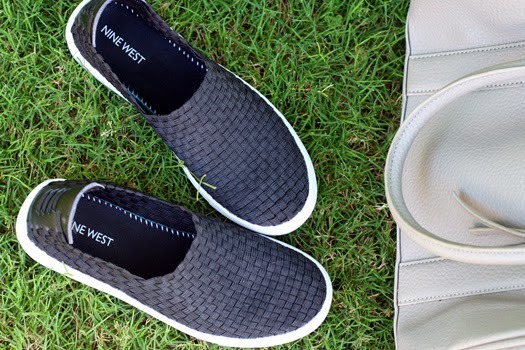 Those Nine West sneakers look so comfortable and versatile! Super cute bag, too!! yes, and they are lightweight, too! Love your top and sneakers! I gravitate towards both, but wow oh wow do I love those Nine West you have!!! I would love to have a pair of these woven sneakers. I'm a shoe person because I don't like feeling like I have dirt in my toes! I love those shoes so much, and I must have that bag! i love those shoes !! !